What does the Taj Mahal in India, the Peruvian Inka city of Machu Picchu and the Great Pyramids of Giza have in common with Hamburg? They all belong to the UNESCO World Heritage Site. On 5 July 2015, the Hamburg ensemble ‘Speicherstadt and Kontorhaus District with Chilehaus’ has been added to the UNESCO World Heritage List, making it one of the world’s 1.031 ‘masterpieces of human creation with outstanding universal value’. Everybody who has visited Hamburg is enthusiastic about its elegant flair and maritime charm. Whether Elbe, Alster, HafenCity (PortCity) or Reeperbahn: something new can be discovered every day. However, at present the city is looking back, because the historic Speicherstadt, together with the neighbouring Kontorhaus District and Chilehaus, were added to UNESCO’s list of world cultural heritage sites in July 2015. The second-biggest city in Germany not only offers arts and entertainment, a great variety of upscale hotels and restaurants, excellent shopping and an exciting night life, but above all loads of historical landmarks. 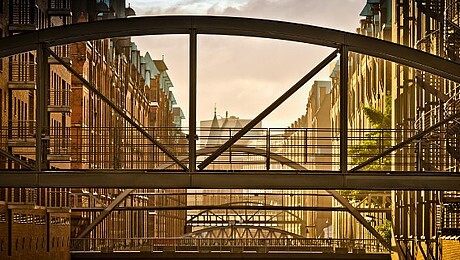 Here in Hamburg tradition and modern living blend to create an atmosphere unlike any other in the world. The Speicherstadt witnessed a rapid expansion and became the international centre of trade, while a few meters further to the east, the first office buildings were erected – the so-called Kontorhäuser, which were important for port-related infrastructure. In short: the modern city was born. The UNESCO honors those two districts for outstanding universal value, which have largely retained its form and design in terms of building materials and substance until today. This entry was posted in Destinations and tagged Germany, Hamburg, UNESCO. Bookmark the permalink.